Retrouvez toute le collection d'espadrilles de Jacotte chuchotte. Espadrilles are trendy and "chic". 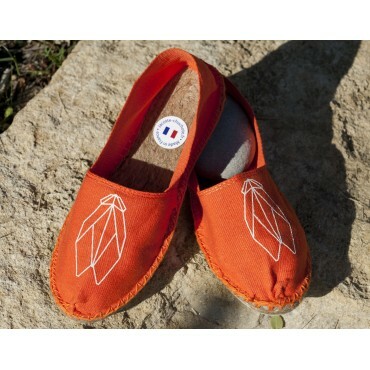 Traditional shoes made by French craftsmen in the southwest of France. Canvas comes on a sole in natural fiber covered by a thin layer of rubber to give them the perfect confort to walk in any wild land, even in town. Espadrilles are trendy and "chic" Traditional shoes made by French craftsmen in the southwest of France. Canvas comes on a sole in natural fiber covered by a thin layer of rubber to give them the perfect confort to walk in any wild land, even in town.